More of an update to come, I promise! Hooray for more babies!!!! Congrats! Hope you have a great pregnancy! This is wonderful!!!!!!! Congratulations to all of you!!! Congratulations, friend!! This is so, so, so exciting :) I am really thrilled for you and the fam. I hope pregnancy is treating you well! 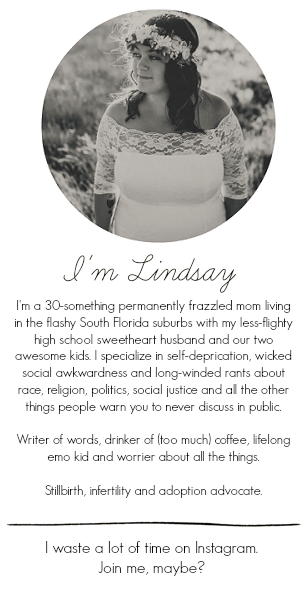 So friggen happy for you, Lindsay! I'm also really, super excited I get to watch you bake this little one! SO SO excited for y'all! Congratulations! Thank you Whitney! <3 I'm so excited!